Founded in 1999, OMI was one of the first Software as a Service (SaaS) providers in the Customer Communications Management space. Since then, they have become a go-to resource for mid-size companies that wish to leverage CRM solutions, such as Salesforce and Nimble, to grow and dominate their niche. Based outside of Atlanta, Georgia, OMI offers a combination of professional services and consulting around CRM, marketing automation and customer communications. OMI has also created a marketing automation ISV solution, 366 Degrees, to provide customers with real-time engagement and simplified campaign management. OMI founder and CEO Brad Banyas were looking for a simple tool for his growing business that his employees could easily learn and use to load and manage their contacts. But after evaluating Nimble for this purpose, Brad realized the solution was much more than a contact management tool and saw the potential of integrating it with 366 Degrees for a complete prospecting and marketing automation solution. “I started down the road with the intent to organize my contacts within a single system of record, but when I tested it and saw for myself the power of the sales intelligence capabilities and persona enrichment, I knew it was exactly what we needed to modernize our company,” explains Brad. Internally, OMI uses Nimble in conjunction with Salesforce to create a complete CRM and social selling solution. 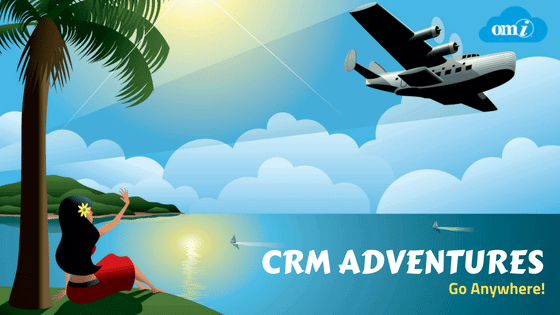 This powerful platform combines the CRM capabilities of Salesforce and the lead and contact enrichment capabilities of Nimble, allowing OMI to connect intelligently and sell smarter. OMI also leverages the power of Nimble and the marketing automation capabilities of 366 Degrees to execute end-to-end lead generation and nurturing campaigns more effectively and efficiently. In addition to using Nimble internally for top of the funnel lead generation, OMI was so impressed with Nimble’s features and functionality that they became a Nimble partner. OMI resells Nimble as part of an integrated CRM/marketing automation/customer communications solution offering to their customers and has been very successful growing their business around the Nimble product line. One of the drivers of that success is the end-to-end solution Nimble creates with 366 Degrees. While 366 Degrees handles the lead generation and inquiry capture aspects, including landing pages, large-scale email marketing, open and click-throughs, drip marketing, and group messaging through social, Nimble manages the ongoing marketing, selling, deal management and relationship management for their customers. “I currently use 366 Degrees with Nimble to send large group email updates and event invitations, newsletter subscription management, and lead magnet distribution management,” says fellow enthusiast Ross Keating, owner of Dawn Business Development Services. 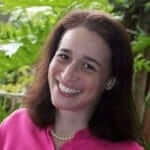 “366 Degrees enables me to select a target audience based on saved searches or tags I already have in Nimble. Within Nimble, I can see what outreach each contact has received, sent via 366 degrees. OMI is using Nimble together with 366 Degrees for prospecting, relationship building, social selling, and campaign execution. Leads and inquiries are captured in 366 Degrees, the prospects’ profiles are enriched by Nimble, and then contacts are segmented based on social business insights for targeted outreach and nurture. As a result, OMI no longer has to manage and import traditional lists or manage opt-ins and opt outs manually. The integration eliminates the need for the company to maintain separate contact databases and allows them to keep all of their tagging, segmentation and lead structure intact within Nimble. The integration also lets OMI keep the relationship consistent when they’re reporting back on interactions with the company, whether it be an email, video watch, or landing page form fill. Nimble gives them visibility into every interaction or engagement that occurs in 366 Degrees right in the contact record, providing them with the insights they need to refine their outreach. OMI’s favorite Nimble feature is the convenient ‘everywhere access.’ Nimble mobile allows the team to work anywhere they are, whether in the office or on-the-go, saving the company a tremendous amount of time managing data, making social connections and developing relationships. The team enjoys the ability to quickly see who they last contacted, research new prospects or lookup key contacts, all at their fingertips. The team enjoys using the Prospector and Profile Update feature, which gives them an easy way to uncover contact information for qualified prospects, ensuring they have the latest phone number or email address to avoid high bounce rates. OMI also uses the Today Page, which gives them actionable information they can use to prepare for meetings or calls. From calendar appointments and tasks to sales pipeline and social signals, the Today Page offers insights into the people they’re meeting and the tasks at hand to help the team have meaningful conversations and build better relationships to close more deals. “Nimble’s ROI is easy to demonstrate. The ease of use and time savings of entering data or researching new leads has been invaluable to us in filling our pipeline and driving new business,” mentions Brad. As part of the company’s evolving business model, OMI plans to enhance their integration with Nimble and 366 Degrees, creating an ideal bundle that will offer a holistic solution for small businesses that want a CRM system along with marketing automation and social enrichment capabilities. “The biggest differentiator for us is the ability to give our customers a marketing automation and CRM system quickly and cost-effectively. 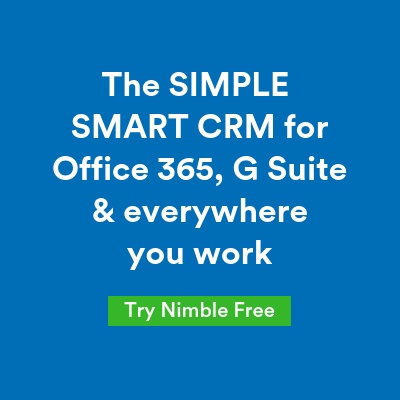 Nimble and 366 Degrees complement each other, allowing us to offer customers a sophisticated, intuitive marketing and CRM solution at a very affordable cost versus buying Salesforce or Dynamics,” concludes Brad.